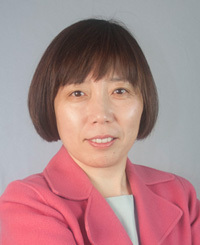 Alice Li is the Executive Director of the Center for Technology Licensing (CTL) at Cornell University. She oversees all aspects of technology management, marketing, license negotiation, outreach, and CTL activities to facilitate new venture creation in its services to all Cornell campuses and colleges. Reflective of its broad research endeavors, Cornell’s inventions range from disciplines such as chemistry, engineering, information technologies, and material science, to medicine, plant science, and veterinary medicine. Alice has 14 years of experience in university technology transfer. She was the Director of Licensing of the Ithaca office from 2011 to 2014, providing mentorship for licensing professionals in intellectual property protection, license negotiation, and spearheading new commercialization initiatives. Alice joined CTL in 2002 and started with hands-on management of invention portfolios, negotiations of complex deals and engagement with startup companies. Prior to joining CTL, Alice was an R&D manager at BioArray Solutions, a NJ biotech company in diagnostic and drug discovery. During her five-year tenure there, the company grew from a two-person startup to an enterprise of fifty people. BioArray Solutions was acquired by a publicly traded company in 2008. Alice obtained her Ph.D. from Cornell University and B.S. from Tsinghua University. She is also an inventor and patent holder. Alice has been a Certified Licensing Professional since 2010.